Summerlin Village - An open-concept kitchen boasts upgraded Thermador appliances, Home can be furnished with a side contract. 3D Tour MLS#2086214. Brady Realty Group, LLC. Red Rock Country Club - Beautiful views of strip, course, & mtns-Built 4 entertaining, home features 750+ bottle wine cellar, custom built bar w/fridge, lighting & marble top-Pool table included!Upstairs has teen room & sitting room @ master-Inviting backyard w/fire pit, kitchen w/BBQ, fridge & bar for seating-Large side yard too-Master w/balcony & spa like bath w/separate vanities, dual w/in closets & huge shower w/dual shower heads MLS#2086640. Simply Vegas. Summerlin Village - Premium Smart House Package & Smart Box W/ Ethernet Thru-out. Gated Comm. MLS#2084926. SMG Realty. Glenmere Summerlin - This is an absolute Must See to believe. SID/LID is paid off! MLS#2087371. Signature Real Estate Group. Solano At The Vistas - *The Vistas 3bedrooms 2.5baths 2car garage*Gated community, culdesac lot*Rod iron entry*Front living space features wood floors,custom light fixtures/paint* Stone accents with arches* Family room/kitchen perfect for entertaining*Kitchen boast custom cabinets, granite counters,stone back splash*Upstairs has wood laminate floors ,master suite with coffered ceilings*Master bath has separate tub/shower*Secondary rooms are good size with ceiling fans* MLS#2087552. ERA Brokers Consolidated. Heartherwood Summerlin - Great Floorplan W/ Vaulted Living/Dining Room * Kitchen Island * Big Backyard (for Summerlin) * Upstairs Loft For That Second Family/Play Room/Office * If You Appreciate Clean And Well Maintained This Home Is For You! MLS#2086367. Real Estate By Design. Mountain Gate West - Spectacular Summerlin Home with open floor plan boasting granite counter tops, tile throughout and much more. Call today for a preview! MLS#2085073. BlackRidge Luxury. Sun City Summerlin - Fully fenced, serene backyard with patio cover, real grass & rose bushes +additional space between neighbor in back allowing for more privacy. MLS#2086619. Realty ONE Group, Inc.
Summerlin Village - Master BR w/sitting rm & luxurious Mstr BA & free standing tub. Come see this beautiful home! MLS#2082849. Real Estate Consultants of Nv. Summerlin Village - Backyard w raised spa/waterfall, pavers & fireplace. MLS#2085702. BHHS Nevada Properties. Summerlin Village - Unique custom home maintained to perfection; numerous architectural details throughout, coffered ceilings, gorgeous hickory wood cabinets with cherry stain, granite,island,hardwood & marble/stone flooring, leaded & stained glass, 6" baseboads, oversized 23 ft deep garage (587 sq ft), great storage, epoxy garage floor, one -of-a-kind; 3rd BR (17x11) has no closet; 10++ MLS#2086417. Great Homes Las Vegas, Inc..
Sun City Las Vegas - Community Has 3 Golf Courses, Four Community Centers With Pools, Spas, Fitness, Tennis, Social Clubs, Shops, Restaurants And More. MLS#2085687. Specialists Real Estate. Arbor View - Desert Landscaping in front with lush lawn with terraced planter in back. MLS#2086397. Mike Gonyea Real Estate. Summerlin Village - Includes spa & pergola*Richmond American*Community pool & park*Fully upgraded*Great room plan w/9' ceilings & tile thru out main floor*Gourmet kitchen w/island, granite, 42" cabinets w/moulding, 5 burner gas cooktop, dbl ovens, SS appliances, pantry*Mstr bdrm w/8' walk-in closet*Mstr bath w/10' walk-in shower & dbl sinks*Features balcony, loft, mountain views, covered porch, ceiling fan prewire in all bdrms/loft*Formal dining room or den/office* MLS#2086330. Keller Williams Realty Las Vegas. Willow Tree - Washer, Dryer & sink in laundry room with cabinets. MLS#2086136. RE/MAX Excellence. Backyard is spacious with a large covered patio with a built-in BBQ. Garage has a swamp cooler. MLS#2086271. Renu Management Las Vegas. Sun City Summerlin - Bring your buyer who wants an open floor plan! MLS#2086358. Signature Real Estate Group. Alta Mira At Summerlin - Great location for shopping & easy highway access. MLS#2086297. Keller Williams Realty Las Vegas. Sun City Summerlin - Sun City - North-south Exp-central Location-lovely Open Floor Plan-2 Bedr-2 Bath+office/Den Off Garage W/Lots Of Cabs-ez Care Landscaping- Ft Security Dr-bedrooms On Opposite Side Of Home-living/Dining Area-mirrored Dining Wall-3 Bay Windows-lg Kitchen Eating Area-breakfast Bar-all Appliances-newer Water Heater-water Soft-air Unit-workbench In Gar-newer Ext Paint-washer/Dryer In Insulated Garage W-sink-2nd Bedrm With Dbl Drs (used As A Office) MLS#2084069. BHHS Nevada Properties. Red Rock Country Club - Sunny backyard pool w/spa & connecting side yard w/morning sun & afternoon shade. MLS#2085234. Rob Jensen Company. 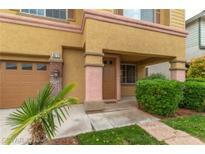 Village 20 - Close To Downtown Summerlin, Parks & Convenient To 215. MLS#2086158. Award Realty. Cantabria Summerlin - Re-Plastered Pool & Spa, Water softener, Video Surveillance Alarm System (buyer to assume balance owed or seller can remove it) MLS#2083218. Paragon Premier Properties. Sun Colony At Summerlin - Lovely 1 Story, 3 Bed, 2 Bath In 55+ Guard Gated Community Of "siena",Huge Lot, Light, Open Floor Plan , Neutral Throughout, Wood Floors In Entry Kitchen, Dining Room And Hall Way, Custom Wall Unit In Great Room, Blinds And Fans T/O, Solid Surface Corian Counters, Stainless Steel Appliances, Pantry, Breakfast Nook, Office Area W/ B/I Desk, Laundry Room, Lg Covered Patio, Fully Fenced Backyard, Community Facilities, Golf, Exercise Room And More! MLS#2085793. Urban Nest Realty. AS a bonus enjoy retiring in Beautiful Sun City Summerlin with 4 community centers, 3 golf courses, tennis courts, swimming pools and "Pickle" courts and more ! ! MLS#2084169. Signature Real Estate Group. Royal Woods - Only ONE HOA & NO SID's! ! MLS#2085706. Realty ONE Group, Inc.